Lebanon is homeland of the beautiful Cedar trees, the gentle touch of which is present from the national flag to the length and breadth of the terrain of Lebanon. 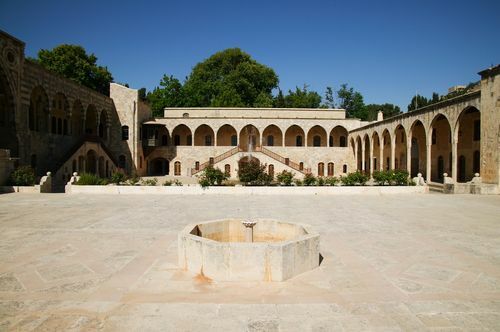 This Middle East country is characterised by its cultural heritage, archaeological treasures, beautiful landscapes, delicious cuisines and warmth and hospitality of the Lebanese people. Burying its turbulent past and wiping out the scars of civil strife, Lebanon has transformed as a top tourism destination in this part of the Asian continent. Situated on the extreme eastern fringes of the Mediterranean Sea, the country is bounded by Syria on the north and east and by Israel on the south. The Mediterranean coastline on the west spans around 225 kilometres. 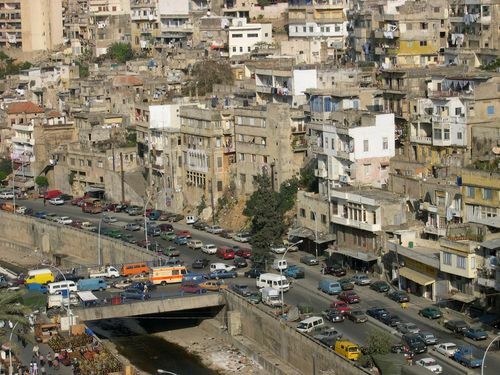 Beirut is the capital of the country and the downtown of the city is an attractive tourist destination. Sprawling over an area of 10,452 square kilometres, the terrain of Lebanon is slightly elongated in shape. It is basically mountainous and the overall topography gets a striped look as narrow strips of plains and highlands lay from North to south in alternative order. To start from the western end of Lebanon, the shorelines are rocky with no provision for natural harbours. Next to the coastal land stands the imposing Lebanon Mountains. Al Qurnat as Sawda at 3,360 meters and Jabal Sannin at 2,695 meters are some of the highest peaks of the country. Then the central highlands of the Biqa Valley come. The last one is the eastern mountain ranges or Anti-Lebanon situated near the Syrian border. 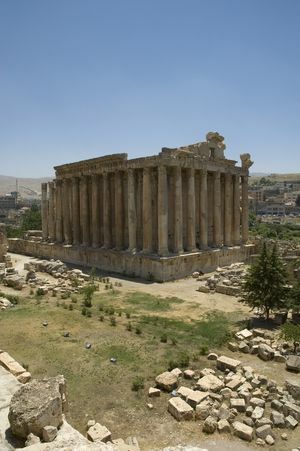 From time immemorial, Lebanon has been the meeting point of great civilizations and culture. Right from the ancient time of the Phoenician traders, the country flourished as a leading seaport and gained importance during the reign of the Roman Empire. The landscape of Lebanon also served as the battlefields of Crusade. The Ottoman Turkish ruled over the country until they were defeated in the World War I. After the war, France got the League of Nations mandate over Lebanon but the later proclaimed independence on November 26, 1941. French troops left Lebanon in 1946. However the bliss of freedom was short lived as a bitter civil war broke out in 1958. Involvement of the Palestinian guerrillas and Israeli and Syrian forces for various political and religious reasons only worsened the situation. Finally, in 1991, Lebanon signed a treaty of friendship with Syria and regained control over warring territories. The 16-year civil war came to an end and on May 2000, Israel withdrew troops after 18 consecutive years of occupation followed by Syria. Lebanon is basically a service-based economy with trading, banking and financial facilities making up most of the GDP contribution. The country has recovered from the damage of civil war and lack of natural resources with help of an open market policy and high returns from tourism. Oil, grain, textiles, metal work, and pottery are major exports of the country. The political set up of Lebanon is dominated by religious parameters of the country. According to the National Pact of 1943, a government of Lebanon must have a Maronite Christian president, a Sunni Muslim prime minister, a Shiite National Assembly speaker and a Druze minister of Defence. The Lebanese constitution defines the segregation of the executive, legislative and judicial powers. It is a democratic republic with parliamentary system of government. The executive organ consists of a president, elected for six-year term, and a cabinet headed by a prime minister. The 128 members of the unicameral National Assembly or Majlis Alnuwab are elected by universal adult suffrage for a four-year term. Supreme Council, Constitutional Council and four Courts of Cassation constitute the judiciary of Lebanon.